I remember this ad for the GI Joe video game running in Marvel comics, with a Joe version on a facing page featuring Hawk. The game doesn’t quite live up to the promise of the epic battle between the two factions, though it is unique in allowing you to play against one another. 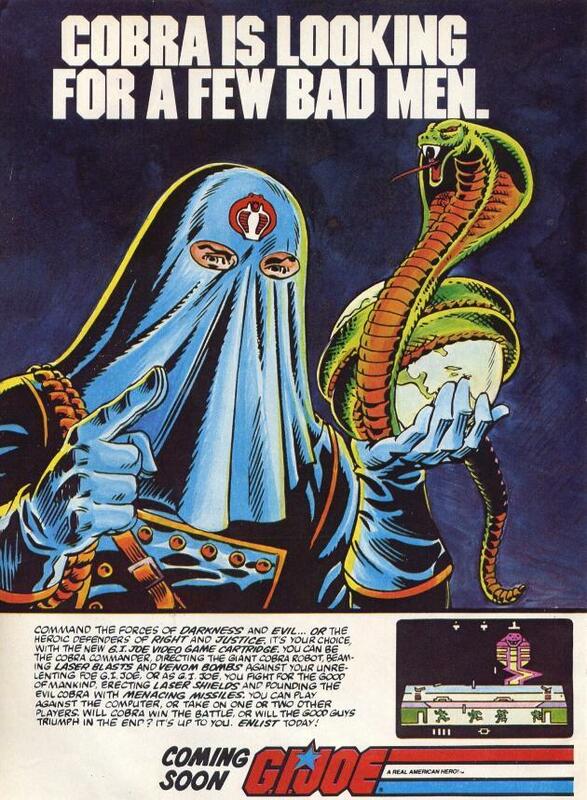 Cobra Commander looks a bit more fierce in this portrayal, what with his real live cobra encircling the globe. No cobras were harmed in the making of this ad.